Soldeu and Pas-de-la-Casa affords good skiing for all. The Principality of Andorra lies at the heart of the Pyrenees Mountains between France and Spain. It has 65,000 full-time inhabitants with many working in the hospitality field with tourism being one of its major industries. Andorra has two ski resorts that provide an incredible 175 miles of skiing and are easily reached by the public ski bus network connecting in “Andorra la Vella”, the epicenter and hub of tourism for the area. The ski resorts Vallnord (Pal-Arinsal and Ordino-Arcalís) and Grandvalira (Pas de la Casa-Grau Roig and Soldeu-El Tarter) count on the most advanced technology with cable-cars, gondolas, high-speed chairlifts for four to six people and more than 1,210 snow cannons that ensure excellent snow conditions throughout the winter season. 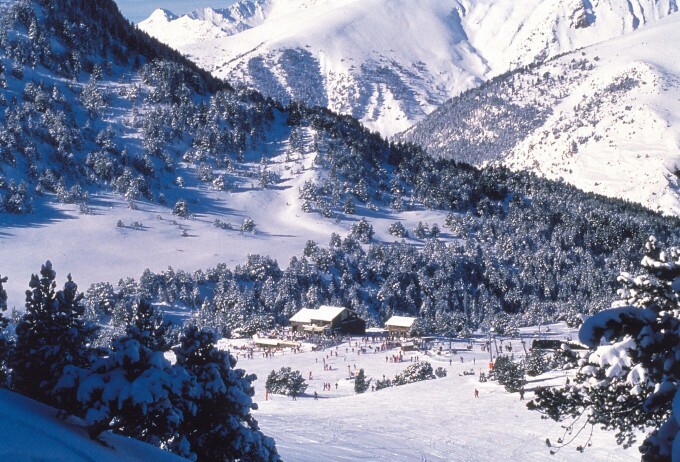 Andorra’s privileged location in the middle of the Pyrenees ensures cold, snowy weather in winter and numerous sunny days throughout the year. Soldeu is set on a steep hillside facing the ski area across the valley. It is on the busy road that runs down the valley from France to Andorra la Vella and on to Spain. The Grandvalira ski area is shared with several alternative bases. Chief among them is Pas de la Casa, near the French border; El Tarter, a few miles down the valley from Soldeu, also has both lifts and return pistes. Further down still, Canillo and Encamp have gondolas but no pistes. Outings to other resorts in Andorra are possible – Arcalis in particular is worth the trip, but it’s easiest by car. The Ski Andorra pass covers them all. The skiing season starts at the beginning of December and lasts until the end of April for an average of 150 days. The closest airport for ease of access to Andorra is Toulouse at 70 miles away. A 6 seat Cessna Citation CJ2 jet from London to Innsbruck is approximately 1 hour 35 minutes. A larger 8 seat Cessna Citation XLS will complete the journey in 1 hour 25 minutes. The Drive time will take approximately 3 hours due to the mountain climb to Andorra. A helicopter will get you to resort in 1 hour. Arranging a private jet charter or helicopter transfer with Freedom Air to arrive in style to Andorra is simple. The Freedom Air team can be reached on +44 (0) 1275 548001 to book your next trip.